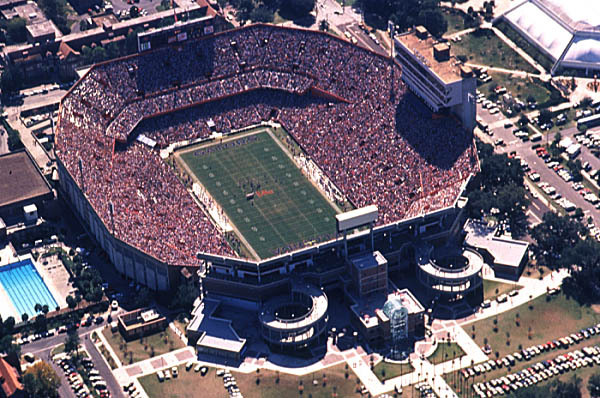 Watch University of Florida Grounds Crew Get The Swamp Ready For Season Opener Against UMass. The Swamp. Image via The University of Florida Foundation. Want to see video of the University of Florida Steve Spurrier-Florida Field at Ben Hill Griffin Stadium grounds crew get the field ready for Saturday's season opener against UMass? Sure you do, even if you aren't a Gator fan. 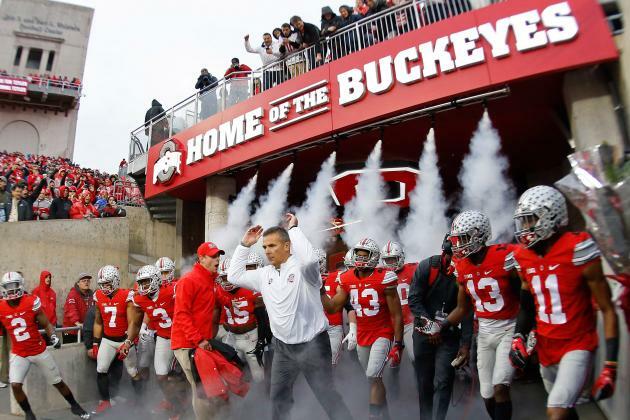 Ohio St. Drops Hype Video For Season Opener Against Bowling Green. Ohio State. Image via Bleacher Report. Ohio State opens its 2016 college football season against Bowling Green on Sept. 3. Naturally, The Buckeyes have released a hype video ahead of the game that Big Ten-centric website Land of 10 described as "intense." Mississippi St. Releases Hype Video For 2016 "Cowbell Yell" Pep Rally. 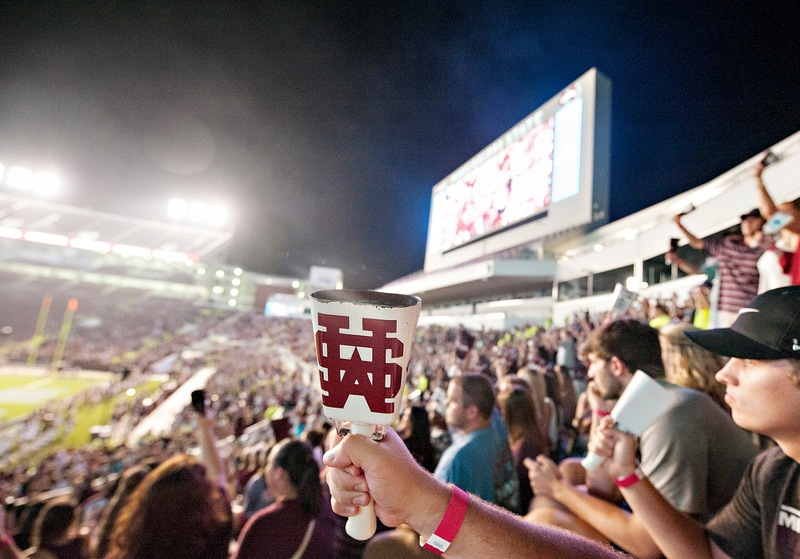 Mississippi St. Cowbell Yell 2015. Image via wjtv.com. Mississippi State is gearing up for its 2016 college football season opener against South Alabama on Sept. 3. It's also gearing up for its sixth annual "Cowbell Yell" pre-season pep rally event, to be held two days earlier on Sept. 1. Iowa St. Releases Hype Video Ahead Of Sept. 3 Season Opener. Expect the hype videos to start coming hard and heavy as the 2016 college football season begins. 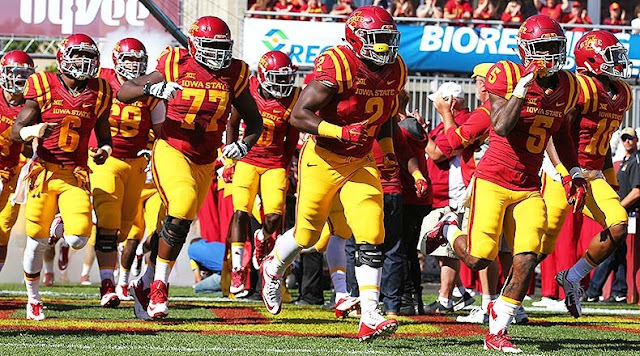 Iowa State has just released a video ahead of its first game of the season. Oklahoma Releases Short, But To The Point, Hype Video. 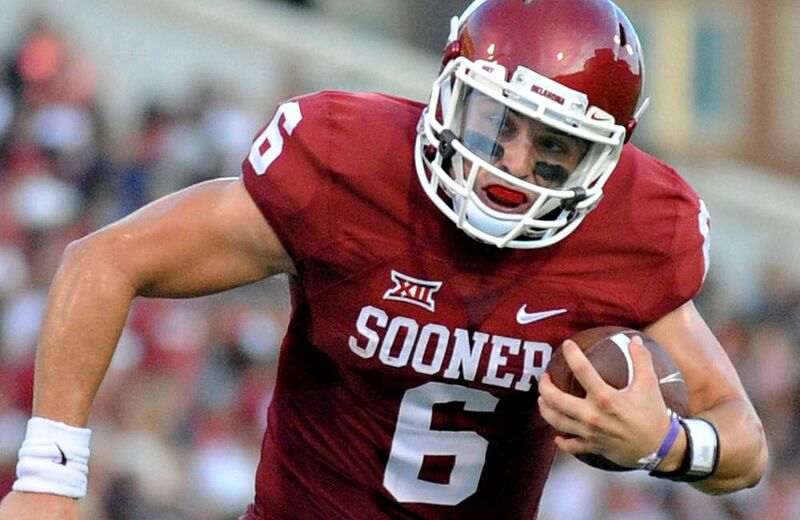 Oklahoma QB Baker Mayfield. Image via Campus Insiders. Oklahoma has released a thirty-second hype video to kickoff the 2016 college football season. It's short, but it gets the message through clear enough that its ready to make a run for a second College Football Playoff appearance in a row. Miami Dismisses LB Jermaine Grace, and DR Muhammad Al-Quadin Muhammed. Jermaine Grace and Al-Quadin Muhammad are ex-Hurricanes. Miami has dismissed the two players for violations of NCAA rules. Arizona Unleashes Gladiator-Style Hype Video. Yes, that's Rich Rod in a gladiator outfit. Via Football Scoop. Arizona has dropped some formable hype videos in recent years. This year is no exception, as the Wildcats unleash a Gladiator-inspired hype video that has to be seen to believed. That does double with Arizona head coach Rich Rodriguez dressed as Maximus. Chick-fil-A Kickoff Game Drops Hype Video For 2016 Edition Featuring Georgia Vs. North Carolina. The Georgia Dome in Atlanta. Ga. The start of the 2016 college football season means its time once again for the Chick-fil-A Kickoff Game at the Georgia Dome in Atlanta. The committee behind the game dropped a hype video for the 2016 CFA Kickoff Game, featuring this year's opposing teams, Georgia and North Carolina. 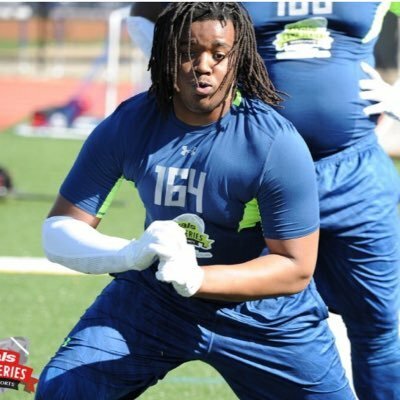 Four-Star OG Jalil Irvin Decommits From Michigan. Jalil Irvin. Image via Touch the Banner. Jalil Irvin is an ex-Michigan commit. The Stone Mountain, Georgia high school junior offensive guard announced his decommitment from Michigan's 2018 recruiting class on Tuesday. Georgia Tech Adds 3-Star CB Tre Swilling To Its 2017 Recruiting Class. Tre Swilling. Image via nola.com. Georgia Tech's 2017 recruiting class has its 12 member. New Orleans, Louisiana high school senior cornerback Tre Swilling committed to the Yellow Jackets on Monday. Iowa Releases Strength Program Hype Video. Iowa Hawkeyes. Image via @HawkeyeFootbsll. Iowa just dropped a hype video showing the team's preseason strength and conditioning regimen. The Hawkeyes are looking to defend their Big Ten West title, and try to get over the hump to win the conference title. Ohio State Monday Commitment No. 2: 5-Star WR Trevon Grimes. Urban Meyer and Trevon Grimes. Image via Eleven Warriors. Ohio State added it's 17th and 18th members to its 2017 recruiting class on Monday. 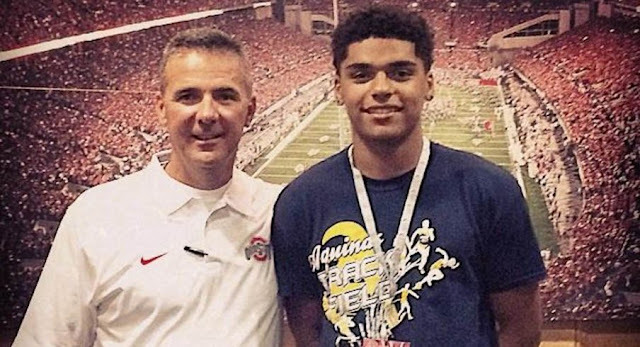 Fort Lauderdale, Florida high school senior wide receiver Trevon Grimes followed Nevada WR Tyjon Lindsey in committing to the Buckeyes on Monday. Monday Ohio St. Commitment No. 1: 5-Star WR Prospect Tyjon Lindsey. Ohio State added it's 17th and 18th members to its 2017 recruiting class on Monday. 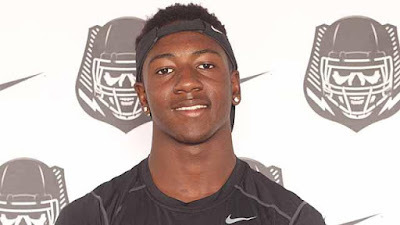 The first commitment came from Las Vegas, Nevada high school senior wide receiver Tyjon Lindsey. Surprise! Alabama Is Atop The Pre-Season AP Top 25 Poll. The AP 2016 preseason Top 25 Poll out and - suprise! - Alabama is the preseason no. 1. Former LSU WR Tyron Johnson Taking His Talents To Oklahoma St.
Tyron Johnson during LSU 2016 spring practice. Image via tigerrag.com. Tyron Johnson has announced that he's headed to Oklahoma State. The former LSU wide receiver made his decision public Friday, tweeting out a photo of shiny-headed Oklahoma St. mascot Pistol Pete on Friday. 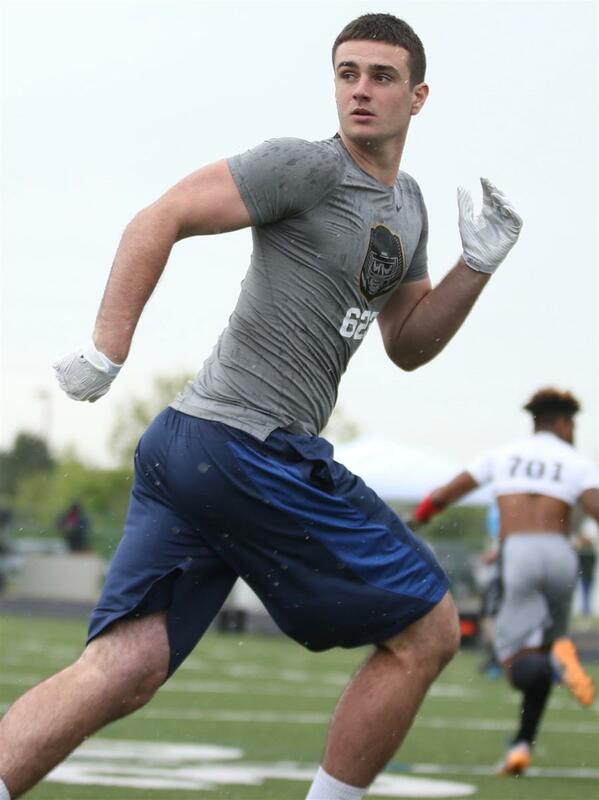 Pitt Adds 3-Star TE Prospect Grant Carrigan To Its 2017 Recruiting Class. Grant Carrigan. Image via 247Sports.com. Pitt added a twelfth commitment to its 2017 recruiting class. Gibsonia, Pennsylvania high school senior tight end committed to the Panthers on Thursday. Want To Hear Nick Saban Talk About Ancient Roman Philosophy? Of Course You Do. What's Alabama head coach Nick Saban been reading lately? Apparently, it's been Ryan Holiday's stoicism-based work 2014 The Obstacle Is the Way: The Timeless Art of Turning Trials Into Triumph. The Fallout - Christian McCaffrey, Nick Chubb, Chad Kelly, and more. Christian McCaffrey. Image via ESPN. 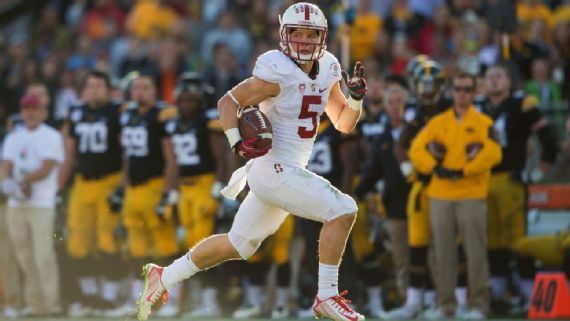 ESPN's Andrew Corcello profiles Stanford running back Christian McCaffrey. The article will be included in ESPN The Magazine's upcoming college football preview issue. Alabama Grants CB Kendall Sheffield Release From Scholarship. Kendall Sheffield. Image via al.com. Kendall Sheffield is an ex-Alabama cornerback. Michael Casagrande of al.com reports that Alabama has granted Sheffield a full release from his scholarship. Dartmouth New Hype Video Reminds Players 2015 Ivy League Title Is In The Past, And That "You Haven't Won Anything Yet!" Dartmouth summer workouts. Image via Dartmouth Football YouTube. Dartmouth is getting ready to defend its 2015 Ivy League conference title. To document this, the Big Green just dropped a hype video chronicling its summer workout program. Florida Suspends TE C'yonati Lewis and CB Jalen "Jeez" Tabor, Will Miss Season Opener. 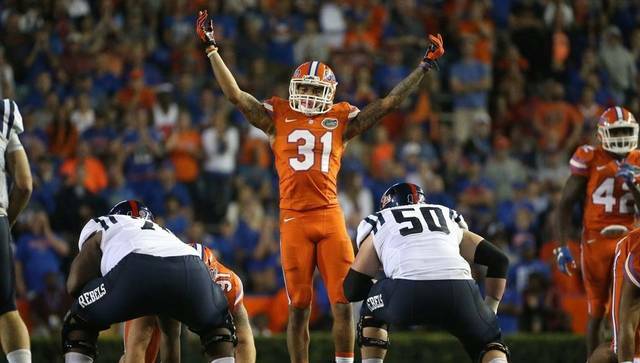 Florida CB Jalen "Jeez" Taylor (31). Image via The Miami Herald. Florida has suspended tight end C'yonati Lewis and cornerback Jalen "Jeez" Tabor what Gators head coach Jim McElwain vaguely described in a statement released by the school as "behavior that is not acceptable." UCLA Adds 3-Star CB Quentin Lake To Its 2017 Recruiting Class. Quintin Lake. Image via rivals.com. UCLA has added an eighth prospect to its 2017 recruiting class. 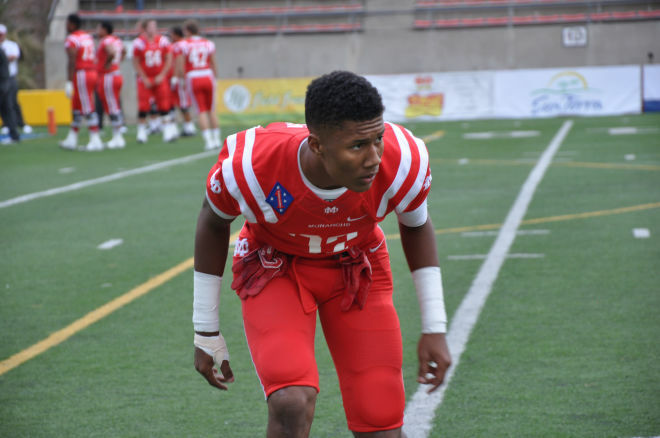 Santa Ana, California high school senior cornerback Quentin Lake committed to the Bruins on Tuesday. The Fallout: Raekwon Davis, Tion Green, Desmond King, and more. Raekwon Davis. Image via al.com. Okay, I haven't done a "Fallout" in like ever. So today is as good of a day to thrash one out. Go Iowa Awesome, the new Iowa blog from former members of the Black Heart Gold Pants staff, take a look at the type of hat Iowa cornerback Desmond King should wear this season how that he's put his cowboy hat in the closet alongside the Jim Thorpe award he won last season. 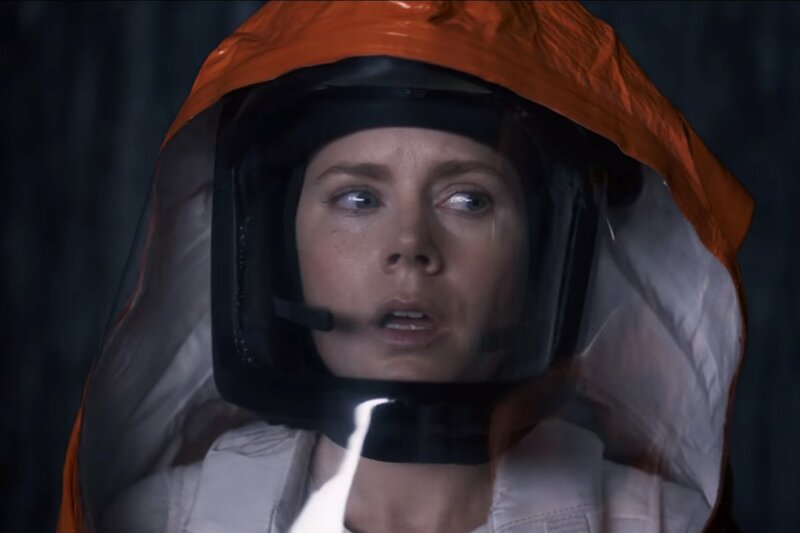 Amy Adams Tries To Decipher "The Arrival." Amy Adams in The Arrival. Image via popsugar.com. Paramount has released the first full trailer for The Arrival, the new film from director Denis Villeneuve (Prisoners). It stars Amy Adams as a language expert trying to communicate with aliens who have landed on Earth. Naturally, this is more difficult as it sounds, and as linguists from other nations also try to decipher the alien language. A wrong move an a global war between the aliens and mankind could break out. Texas A&M Adds 3-Star QB Cade Fortin To Its 2018 Recruiting Class. Cade Fortin (no. 6). Image via gwinnettprepsports.com. Texas A&M has Georgia on its Mind as it racks up a third commitment to its 2018 recruiting class. Suwanee, Georgia high school junior quarterback Cade Fortin committed to the Aggies on Monday. 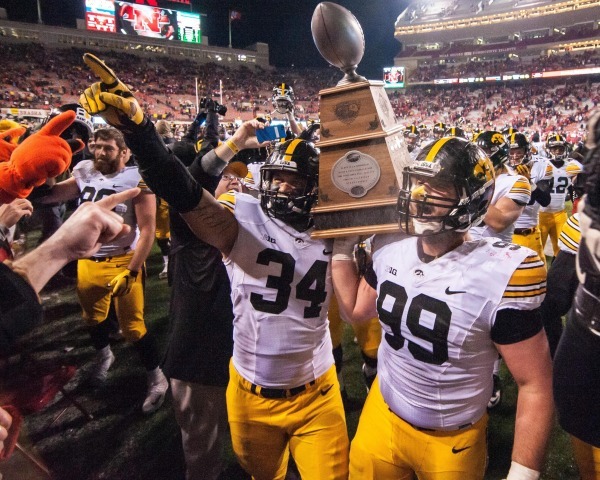 Iowa's New Hype Video Asks Players What The Tigerhawk Means To Them. Iowa Hawkeyes. 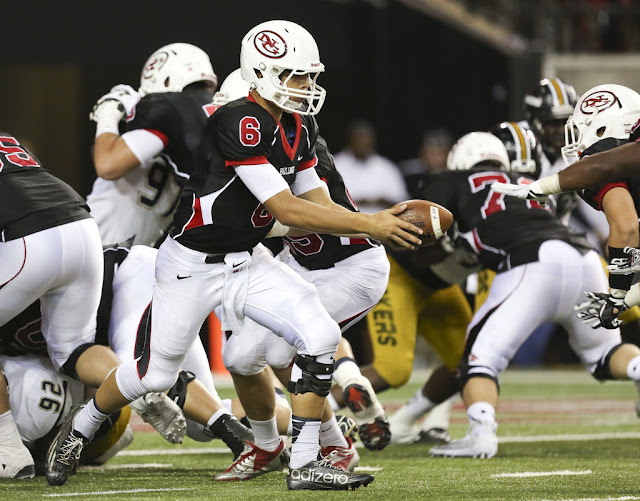 Image via cidsports. Iowa has released a hype video to promote its upcoming 2016 college football season. It features action from the Hawkeyes' surprise 12-2 Big Ten East division title-winning season, along with scenes from pre-season training sessions, and members of the team explaining what the team's Tigerhawk emblem means to them. Tennessee Adds 4-Star RB Prospect Ty Chandler To Its 2017 Recruiting Class. Ty Chandler. Image via The Tennessean. 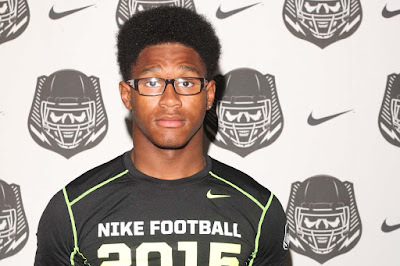 Tennessee has added a 24th commitment for its 2017 recruiting class. Nashville, Tennessee high school senior running back Ty Chandler committed to the Volunteers on Monday. West Virginia OL Adam Pankey Arrest After Found Inside Overturned Motor Vehicle. Adam Pankey. Image via thedaonline.com. 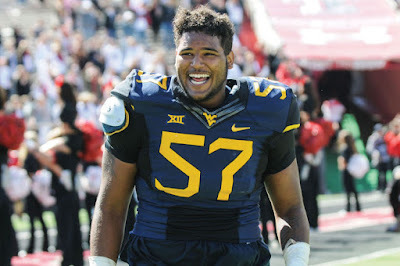 West Virginia offensive lineman Adam Pankey has been charged with a DUI after police found him inside his overturned motor vehicle early Sunday morning. Former Alabama DB Maurice Smith Granted Conditional Waiver To Transfer To UGA. Maurice Smith. Image via al.com. Georgia's long (Bulldog) national nightmare is almost over. The SEC had given former Alabama defensive back Maurice Smith a conditional waiver to transfer to UGA. 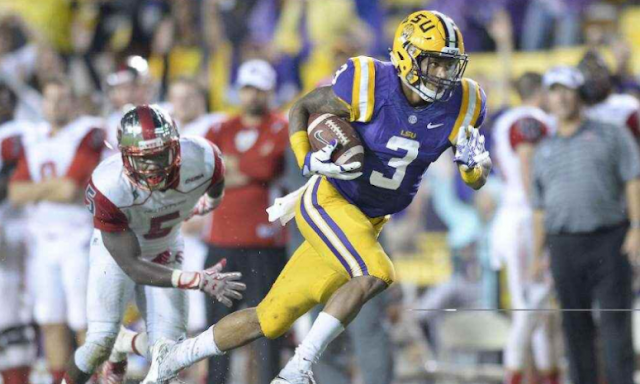 Sophomore WR Tyron Johnson Is Transferring From LSU. Tyron Johnson. Image via College Spun. 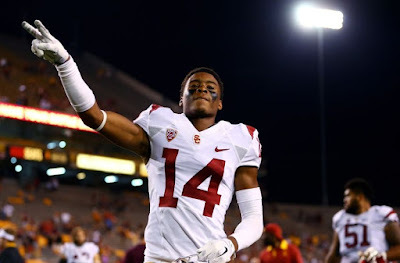 Tyron Johnson is an ex-Tiger. 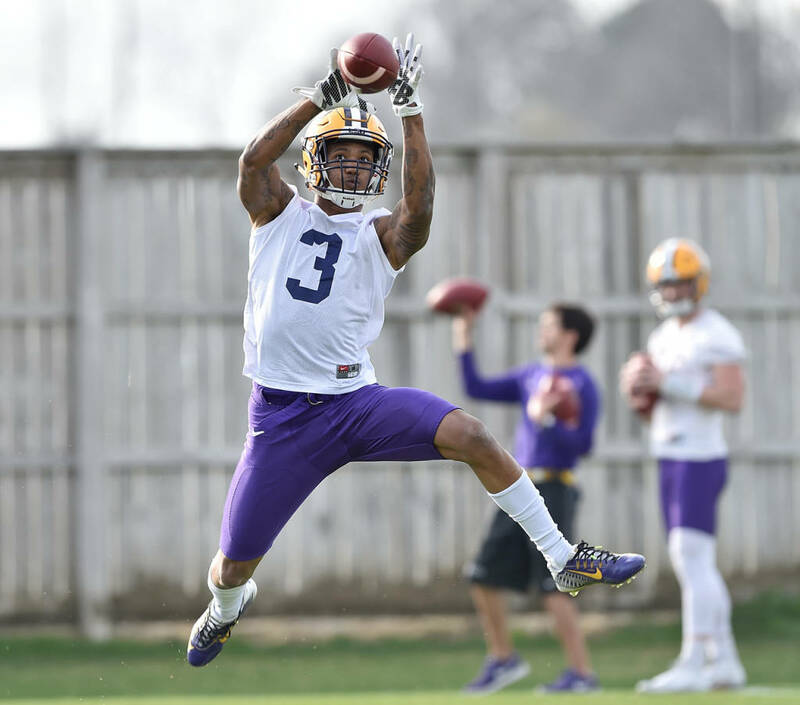 The sophomore wide receiver has announced via Twitter that he will be transferring out of the LSU football program. 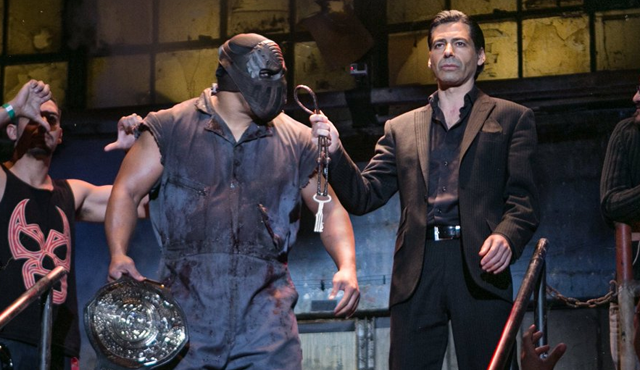 Lucha Underground Unleashes Stunning Trailer For Its Third Season. Matanza Cueto with Dario Cueto. Image via 411Mania.com. Lucha Underground, The El Rey cable network's revolutionary lucha libre program, has released a trailer for its third season. Trailer isn't quite the word, as it almost stands up as a work of art on its own. 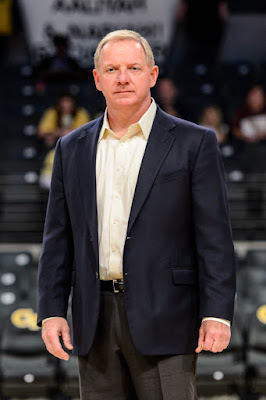 Georgia Tech Athletic Director Mike Bobinski Leaving For AD Job At Purdue. Mike Bobinski. Image via ajc.com. Mike Bobinski is an ex-Georgia Tech athletic director. The Atlanta Journal-Constitution reports that Bobinski has resigned his position at the North Avenue Trade School to become the next AD for Purdue. Four-Star OLB Prospect Devodrick Johnson Decommits From Texas A&M Following Visit To Texas. Devodrick Johnson. Image via Good Bull Hunting. Devodrick Johnson is an ex-Texas A&M commit. The Dallas, Texas high school senior quarterback and outside linebacker announced he was decommitting from Texas A&M on Monday following a visit to the Texas campus. Expansion Silliness: New Mexico Tries To Make The Case For Joining The Big 12. 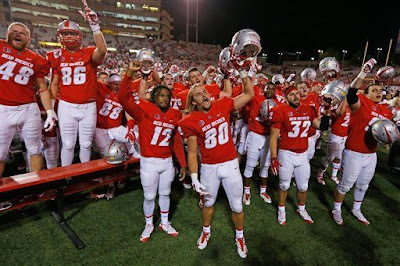 New Mexico Lobos. Image via tulsaworld.com. If you thought that the idea of Colorado State, UConn, or (gasp) Temple trying to join the Big 12 were experiments in insane thinking, then you haven't heard nothing yet. The latest school to throw its hat into the ring as a potential Big 12 expansion candidate is New Mexico. 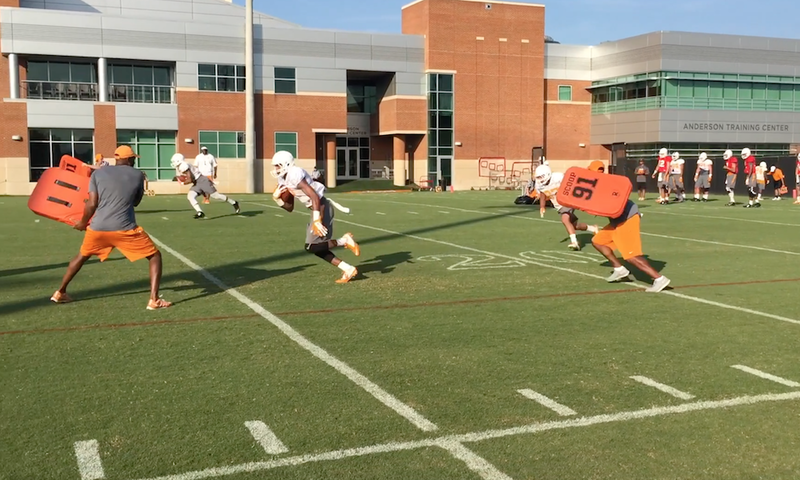 Scenes From Day Three Of Tennessee's Fall Practice. Tennessee fall practice. Image via sportsradioknoxville.com. Via The Knoxville News Sentinel, here is video footage from Day Three of Tennessee's fall camp. Enjoy. UCLA Adds 3-Star CB Prospect Jaylan Shaw To Its 2017 Recruiting Class. Jaylan Shaw. Image via Reign of Troy. UCLA has added a fifth commitment to its 2017 recruiting class. Corona, California high school senior cornerback Jaylan Shaw committed to the Bruins on Wednesday. Behold! Michigan's 2016 Jordan Brand Uniforms! Michigan's 2016 season uniforms. Image via mLive.com. Michigan finally unveiled it's uniforms for the 2016 season, the first under its new deal with Nike, and the first football uniforms ever released under its iconic Jordan Brand. 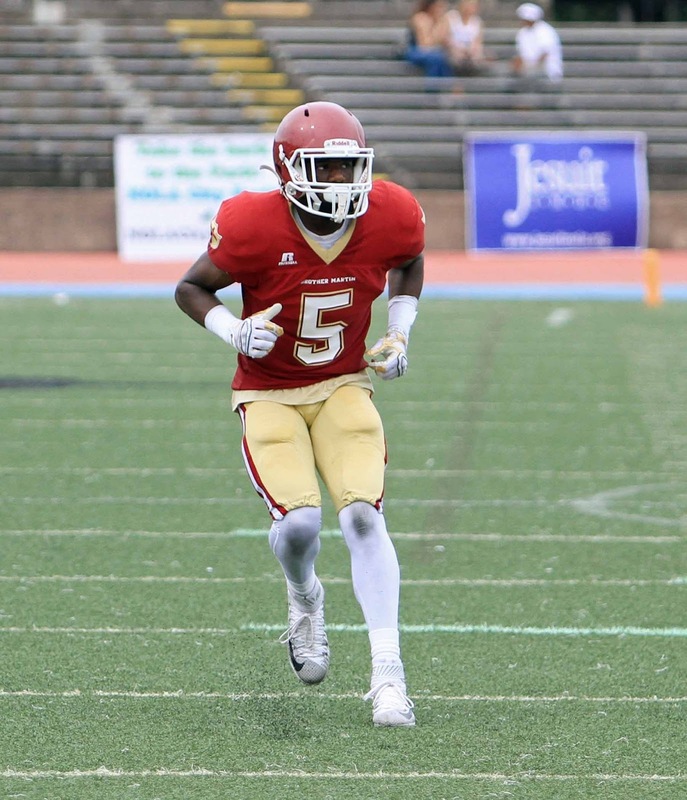 Washington State Adds 3-Star Cornerback Zaire Webb To Its 2017 Recruiting Class. Zaire Webb. Image via scout.com. Washington State has its first 12th win for its 2017 recruiting class. Neptune Beach, Florida high school rising junior cornerback Zaire Webb committed to the Cougars on August 1.